The primary goal of a Breeding Bird Atlas is to determine the distribution of all species which are breeding within a given area. But an atlas can also produce a wealth of additional environmental information. The following article, which is adapted from a piece written by Paul F.J. Eagles (for the Ontario Bird Atlas Project) provides an overview of some uses of bird atlas data. An atlas will not only provide accurate maps of the range of each bird species, but it will also confirm the presence of new species, or conversely, the disappearance of former species. 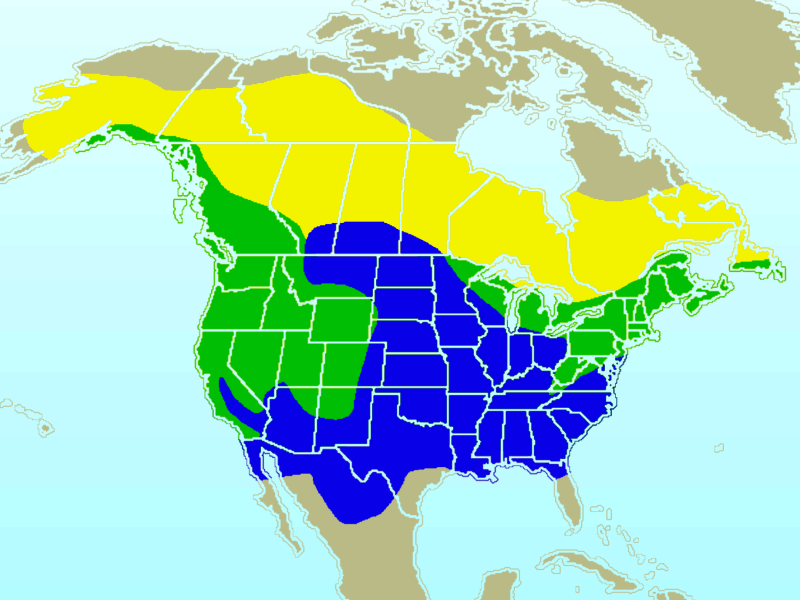 Detailed information about the distribution of each species, and each distinct bird group (i.e. warblers), can also be used in conjunction with other kinds of information, such as forest maps or vegetation inventories, to provide a more detailed picture of the environmental requirements for birds in a particular region. looking for evidence of decreasing ranges, which are often an indicator of environmental degradation. which species may be rare on a regional basis but abundant locally, e.g., colonial nesting species. Atlas data are an excellent starting points for planning documents such as environmental impact assessments (EIA). Although the scale of atlas data is often quite coarse, it can show what the local and regional levels of avian biodiversity are, as well as levels of species rarity, information which is crucial to the thoroughness of an EIA. Wildlife populations, including birds, can be used as indicators of environmental change. By incorporating bird atlas data with other landscape information (e.g., satellite imagery, forest and soil databases, etc.) a more complete and accurate picture emerges about the environmental health of an area. Much information about the basic natural history traits of species and local bird populations can be obtained from atlas data. For example: why do certain assemblages of species occur in one area but not others? This information can help wildlife managers determine which areas of landscape are important for the conservation and protection of birds. Since atlas projects succeed or fail on the efforts of volunteers, an atlas can provide a detailed snapshot of the kinds of people who work on wildlife projects. This is important information useful to agencies who plan environmental projects or governments debating the merits of development versus conservation.